When it comes to first vs third party lenses for digital SLR cameras, there's usually a tradeoff: price vs. quality. Third party lenses - ones not made by the same companies that make the cameras - are often MUCH less expensive than the name-brand lenses. In some cases they are less expensive because the quality is not at the same level as a comparable lens made by a camera manufacturer. However, the old saying "you get what you pay for" doesn't necessarily always apply to third party lenses. Some lenses are exceptional, and can capture images that are on a par - if not better - than the name-brand ones. This makes them a tempting alternative for anyone who's not keen on spending a month's hard-earned salary on a DSLR lens. Before I get too much futher into this analysis, I figured it would be good to clarify the different players involved. When I talk about first party lenses, I am referring to lenses made by the camera companies themselves: Canon, Nikon, Pentax, Olympus and Sony (a.k.a. Konica Minolta). 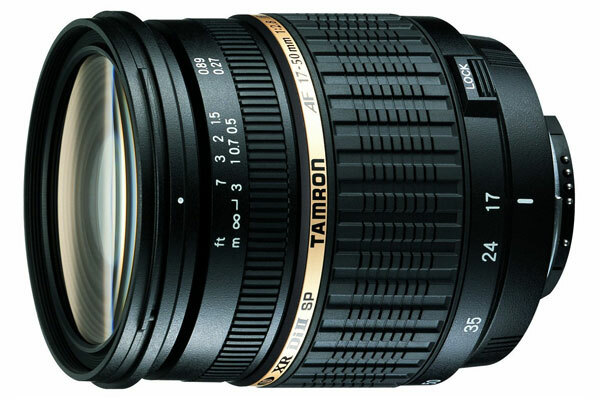 When it comes to third party lenses, there are three major companies: Sigma, Tamron and Tokina. The third party lenses don't play by quite the same rules as the first party lenses. The same third party lens can be attached to cameras from different manufacturers, so long as the lens mount is correct. For example, the Tamron 17-50mm f/2.8 zoom comes with a Canon mount (to attach to all Canon digital SLRs) and a Nikon mount (to attach to all Nikon digital SLRs). Once you've bought a lens with a specific mount type it won't attach to cameras that don't share the same lens mounting system (so you can't swap your Tamron lens with a Canon mount out for a Nikon mount at a later date). Quality - the build quality of first party lenses (especially those made by Canon and Nikon) is part of the reason why many professional photographers don't use anything else. Compatibility - since all modern lenses are electronic, it makes sense that the camera manufacturers are the one who can make lenses that are most compatible with their cameras. Please don't take this to mean that third party lenses fall apart in a week or aren't compatible with the major digital SLR cameras. They are - but if you were to evaluate the exact same lens type from a first vs third party company, the first party lens should come out on top. Since these types of tests are usually only done in a lab, it should be hard for the average consumer to tell the quality difference between a first and third party lens. More Options - camera manufacturers can't make a lens to suit every need, which is why the third party companies are able to step in and fill the gaps. Lower Prices - in order to be competitive with the big camera companies, many third party lenses don't cost as much as the first party alternatives. Think of the third party lenses as off-brand merchandise - they're like that generic box of cereal at your local grocery store. Since the third party companies don't have to advertise quite as much as the big players (they're only selling lenses not cameras), they pass the savings on to you. The quality of third party lenses has also improved, so many of them are now indistinguishable from a similar first party lens. 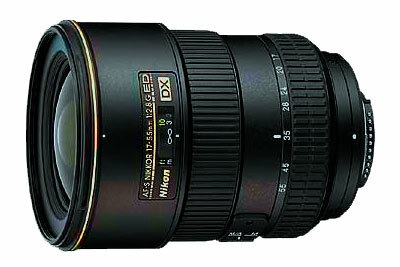 The most significant drawback to third party lenses is that they favor the two leading manufacturers: Canon and Nikon. If your digital SLR is made by Pentax, Olympus or Sony, it mayb be easier to stick with a first party lens. While it's important to know the difference between first vs third party lenses, it should not be a make-or-break decision for you right now. Here's the best advice I can give: wait until you've completed your digital SLR lens wish list. At the very end of this process, when you have a complete picture of the lens you would like to have, see what's available. If a third party lens is a closer match to your ideal lens than a first party, then I would recommend you buy the third party lens without hesitation. However, if there is a first party lens that is also a strong contender, then compare the two side-by-side, keeping in mind some of the advantages that I mentioned above.